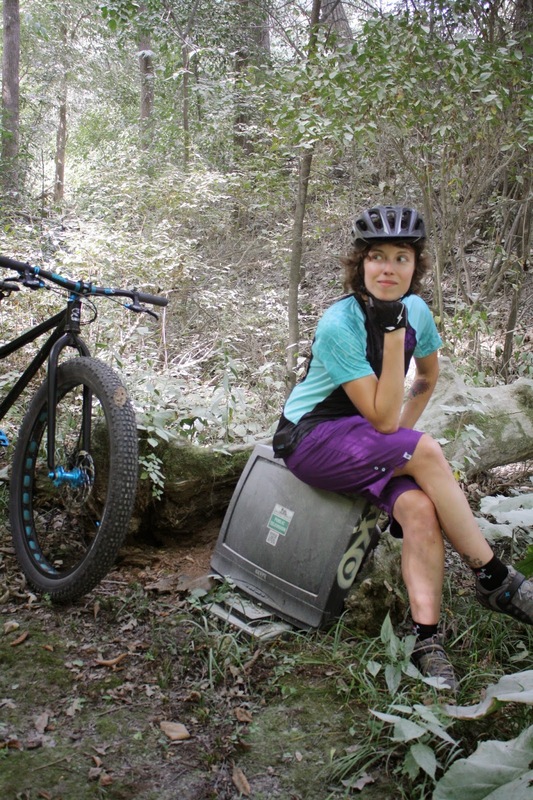 Josie's Bike Life: A Thank You and Some News! I just want to give a big Thank You to those who have been so supportive of me on my multiple journeys, mainly a budding blogger and avid mountain biker. I’ve “met” some really great people who have truly inspired me to keep on with pursuing my dreams, whatever they are exactly-I’m still working that out! However, it’s obvious that bicycles are a huge part of my life and will continue to be so. I'm looking forward to what is next to come and excited to meet even more inspiring people! Since the hiatus of Imagine Northeast Iowa came about, you may find some posts from me at Travel Iowa. However, keep a look-out for my writings on here as well! In other exciting news, Dirty Jane will periodically be hosting some posts from me, or cross-posting what I write. Also you’ll find some of my writings at Banditas Magazine-an independent source for women’s action and adventure sports! I’m really excited to see where all of this goes! The start of my blog turning into something more than just a woman sharing her thoughts-but having it turn into a sounding board for so many great women and their stories. 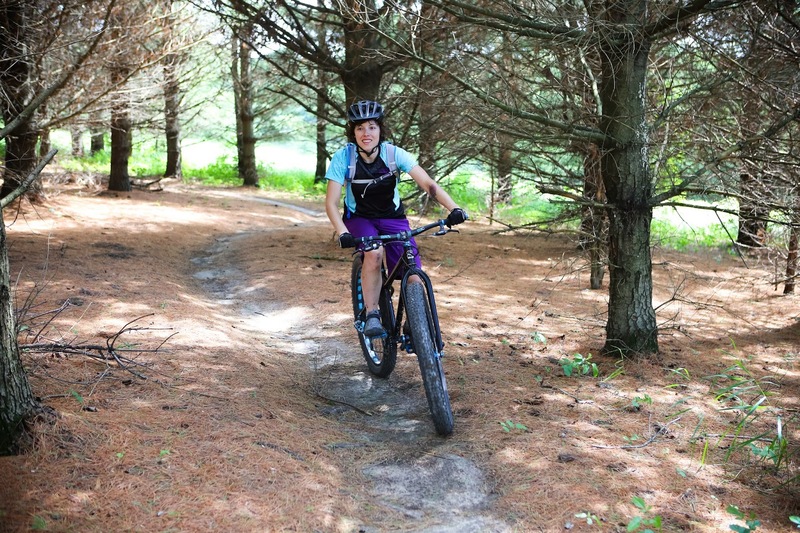 The journey into mountain biking has been a very rewarding and challenging, but it’s given me something so much greater in return: joy, confidence, inspiration, hope, and healing. It’s given me strength and courage. It’s fueled the desire to inspire. It’s given me the ability to accept change more so than before. It’s also allowed me to learn how to trust myself and feel comfortable with the decisions made. It continues to open me up, prying away layer upon layer and other deep-seeded issues that I’ve tried to bury. Like I said, it’s helping me to heal. Two years ago I would’ve laughed in your face if you told me I’d be out there, riding the mountain bike trails by myself (or with Travis and/or friends)…yeah. Not likely! I went into a style of riding that intimidated me and long story short, fell in love. I may never be “the best” nor will I ever claim to be. I might never go “super fast” and I don’t have to. I ride for me! I share my experiences (the good, bad, and ugly) in a hope that it will help others get over their own fears. It doesn’t matter the style of riding you want to do…or even if you just want to commute to work on fair weather days. Don’t hold yourself back-just do it. If you must start out with baby-steps, that’s okay too. Realize that those two wheels can do something more than take you from point a. to point b. The wheels can change your life. Is that a purple skirt or shorts you're wearing in the photo. Are they breathable ? I like them a lot-the only complaint I'd have is the legs are wide enough for me to snag them on my seat when getting on/off the bike. Aside from that-love 'em! They come with a liner...there are 2 vent zippers you can use (one on each leg) and I love the fact the pockets have zippers. Fabric isn't dense (imo) and has withstood my falls and washes well.